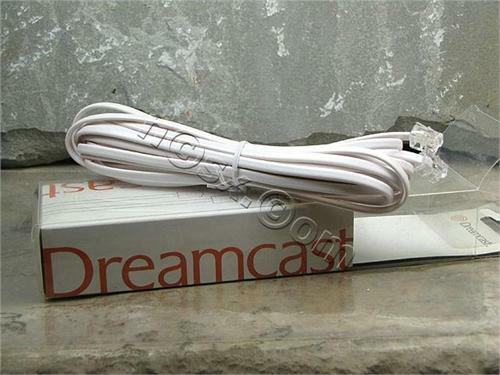 «©NCSX» Brand new and factory boxed Dreamcast Modular Cable but before you reach for your wallet to buy one, continue reading. 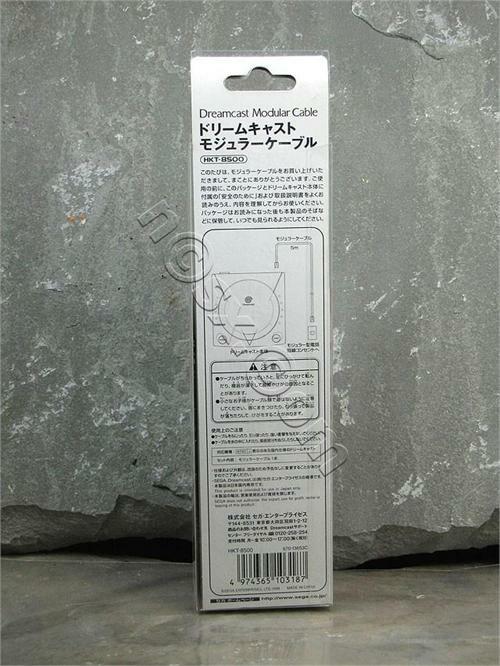 The somewhat impressive sounding product name is basically a fancy-schmancy moniker for a landline telephone cable with RJ45 connector which measures 5m or 16.40' in length. 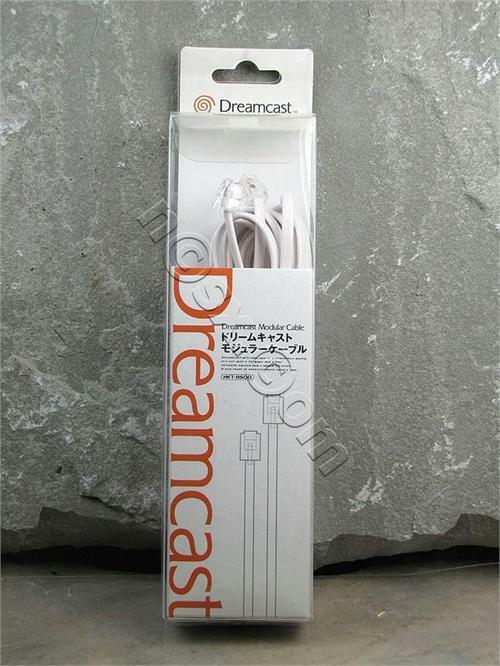 You could buy the same cable from a generic supplier for less but then you wouldn't get the clear plastic Dreamcast-branded container which fits right into any Dreamcast shrine. NCS' remaining inventory is brand new and factory boxed in the original plastic packaging. 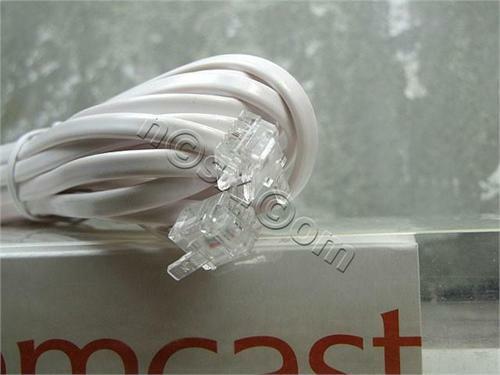 The condition of the cables are in excellent shape with all remaining inventory in like new and undamaged condition. 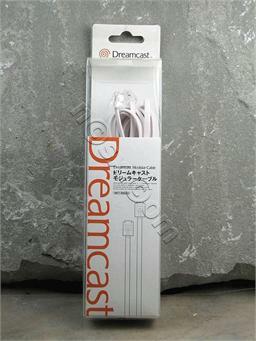 Pricing per Dreamcast Modular Cable is set at US$9.90 each. If you reside in the USA, NCS recommends USPS Media Mail shipping for the most economical domestic service. For our customers outside the USA, NCS recommends normal Airmail International service. This document and photos are ©NCSX 1998, 2010. All rights reserved. No reproduction in whole or in part of this document may be made without express written consent of National Console Support, Inc.
New and boxed official Dreamcast joypads in a transparent green shell. Three new chapters continue in the second volume of Capcom's serial RPG. Take a trip back to the summer of 2000 with an issue of Official Dreamcast Magazine which features an exclusive preview of Jet Set Radio on the bonus GD-Rom.